HBT bullying involves discrimination against people who are identified as homosexual, bisexual and/or transgender. This form of bullying is present in schools across the UK and can have devastating effects on those victimised by the bullies. Pupils subjected to HBT bullying, even those who are do not identify as homosexual, bisexual or transgender, often suffer damage to their self-esteem and mental health and may even self-harm or attempt suicide. The trauma can cause school work to deteriorate along with attendance, with some children moving schools to escape. Bullying and discrimination are two sides of the same coin, and education is the only way in which the weed can be pulled up at the root. 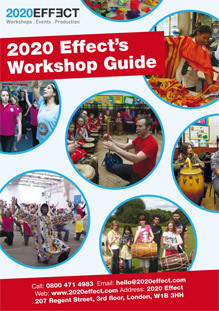 2020 Dreams HBT Bullying and Discrimination workshops are an effective weapon in the arsenal of any school or young person’s institution looking for a fresh approach to tackling this scourge. Using proven teaching techniques that really engage with students of all ages, 2020 Dreams can start to dismantle the prejudices that lie at the heart of homophobic and transphobic behaviour and replace them with tolerance and, in some cases, even mutual respect. Those who are suffering at the hands of bullies will pick up new skills and strategies to empower themselves as well as learning where to go to if things get out of hand. 96% of homosexual pupils hear homophobic remarks used in school. 54% of young LGB people feel there are no adults at school with whom they can speak about their sexuality. 6% of LGB pupils have been subjected to death threats. Physical bullying includes punching, kicking and any other violent attack, including aggressively or persistently entering personal space; verbal bullying might involve name-calling, inappropriate jokes and the spreading of rumours while social bullying covers exclusion or the ‘outing’ of LGBTQ people to those who are unaware of their sexuality or gender identity. Cyber bullying is now a common manifestation of all types of bullying with mobile phones, social networks and the internet being used as part of hate campaigns against the bullies’ targets. At the heart of all bullying is the abuse of power, while discrimination is fundamentally rooted in the fear of difference. Both of these concepts are fully explored in 2020 Dreams workshops through interactive role-plays and open discussion groups. Although homophobic and transphobic discrimination is not discussed specifically in the National Curriculum, the topic can be discussed as part of a Citizenship lesson (mandatory in Key Stages Three and Four). According to the Curriculum, Citizenship lessons should, “prepare pupils to take their place in society as responsible citizens,” which includes respecting other people’s freedoms and human rights. Workshops for older children could also incorporate the role of law in protecting people from homophobic and transphobic persecution. Homophobic and transphobic discrimination and bullying are among the most sensitive topics that a school can address and booking an appropriate workshop should reflect that. 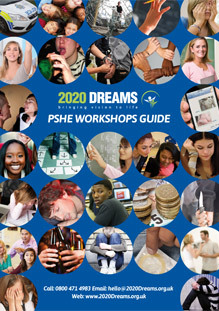 2020 Dreams employ mature facilitators with the skill and sensitivity to ensure no young person will be exposed to harm or embarrassment. Our risk-assessed courses are meticulously prepared to be appropriate to the age group and background of the students involved, and while students are encouraged to speak openly, the bigger emphasis is on keeping them comfortable and protected.